Former Super Eagles skipper Austin Jay Jay Okocha believes that Nigerian football has reached its limits and is ‘now dead’. Okocha who captained Nigeria from 2002 to 2006 gave his damning verdict after watching the Super Eagles succumb to a humiliating defeat to Sudan in their 2015 African Cup of Nations qualifiers. Nigeria’s hopes of making the tournament in Morocco was left hanging in the balance after losing 1-0 in Khartoum on Saturday,which has left them bottom of their group. 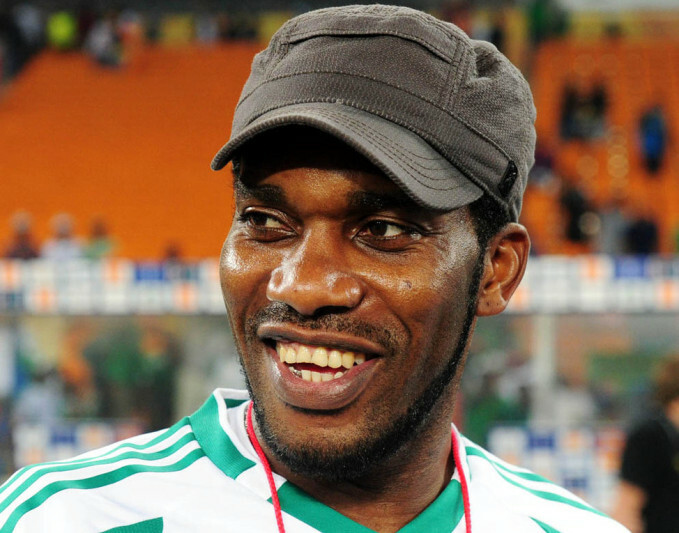 However,Okocha has refused to blame Nigeria’s precarious position on Super Eagles coach Stephen Keshi,or the players. The former Bolton Wanderers midfielder harped on Nigeria’s inability to evolve with the changing trends in the world. “Anyone that blames Keshi or the boys is short sighted. Our football is long dead and gone. This is just the confirmation” Okocha wrote on his official twitter page. Unless a miracle happens,Nigeria might likely not qualify for the 2015 Nations Cup tournament only if other results in the group go their way.